Star Wars: The Force Awakens trailer has amassed more than 40 million YouTube views in 72 hours. The newly released trailer has also inspired a series of spoofs, including a “George Lucas edition”, which pokes fun at the director’s poorly received prequels. The parody – viewed nearly four million times – was created by Michael Shanks and is cluttered with extra CGI and a voice-over about trade negotiations. A Lego version of the trailer appeared within 24 hours of the original. Pieced together brick by brick and shot by shot, the video recreates shots of a rolling R2 droid and the Millennium Falcon. The animator also comes up with an ingenious way of replicating the new three-pronged lightsaber. It has so far been seen two million times. A third parody takes aim at director JJ Abrams, who has been hired to oversee the renewal of the sci-fi franchise. Noting his fondness for lens flare (the director took the unusual step of apologizing for over-using the effect in his Star Trek films) it adds glaring reflections to every shining surface in the trailer. The official teaser trailer – the first look at a film that is not out for another year – has generated reams of media coverage. 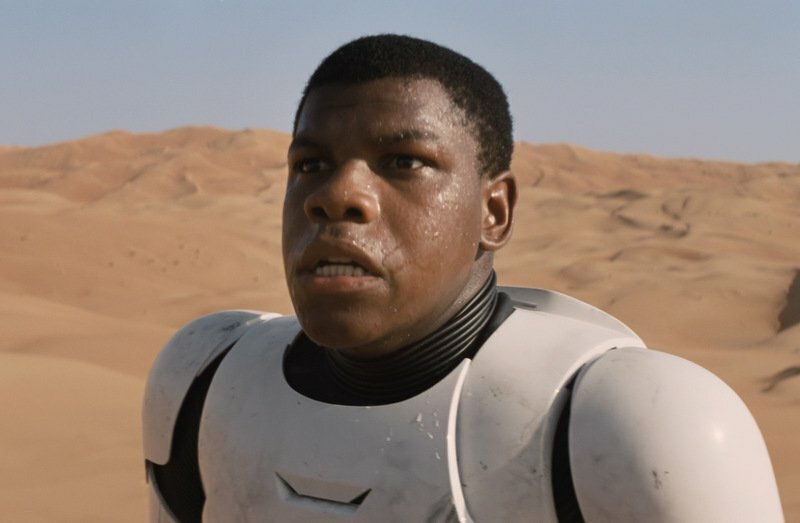 John Boyega then bursts cartoonishly into frame, wearing the suit of a Storm Trooper. We also see newcomer Daisy Ridley as the film’s heroine and Oscar Isaac as an X-Wing pilot, as well as a long tracking shot of the Millennium Falcon. The seventh episode of the Star Wars universe, The Force Awakens is due for release in December 2015.